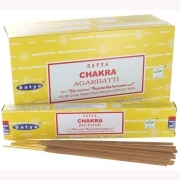 A high quality Indian Chakra incense from Satya, the house of Nag Champa. Box of 12 packs. 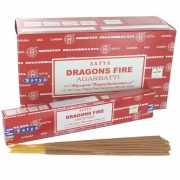 A high quality Indian Dragon's Fire incense from Satya, the house of Nag Champa. Box of 12 packs. 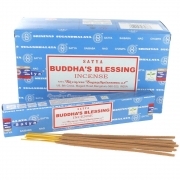 A high quality Indian Buddha's Blessing incense from Satya, the house of Nag Champa. Box of 12 packs. 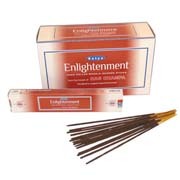 Seek enlightenment with these high quality hand-rolled Masala Incense Sticks. Box of 12 packs. 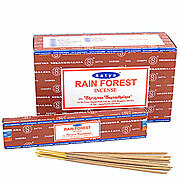 High quality hand-rolled Masala Incense Sticks. 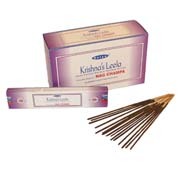 Krishna's Leela fragrance. Box of 12 packs. High quality hand-rolled Masala Incense Sticks. 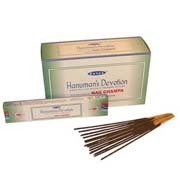 Hanuman's Devotion fragrance. 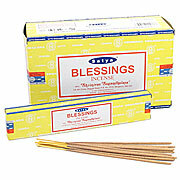 Box of 12 packs.